In storytelling, the element of surprise is an effective one, often rendered as big and boldplot twists. In video games, these moments of hard reveals are made even more effective because they involve you, the player, in their emotional culpability. Here, then, are several games which made us stand up and throw our controllers in their twists and turns.Obvious Warning: This discussion dives deep into the plot of these games, which means spoilers are plentiful. Read at your own risk. For a good chunk of BioShock’s running time, you, as Jack, think you are assisted by a character named Atlas via radio, who has the polite verbal tic of asking “would you kindly” before asking you to perform a task. Then, you realize that not only is Atlas actually the ruthless villain Fontaine, but the phrase “would you kindly” puts you in a state of brainwashed slavery, forcing you to undergo often-unsavory tasks, stripping you of your free will. Then, you realize that the game is not only making an insane plot twist, but commenting on the nature of video gaming itself. Then, you feel like you need to kindly lie down for awhile. In a game full of unreliable narrator trickery, the ending moment still manages to shock. As it turns out, Konrad, the figure Walker has been spending the entire game trying to get to, has already committed suicide. The “Konrad” Walker has been in contact with was nothing more than a hallucination caused by trauma and dissociative identity disorder, a coping mechanism to try and project the status of “villain” onto someone else so Walker could have a remnant of a conscience. 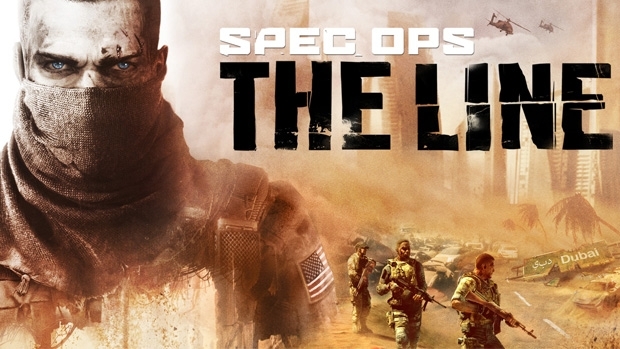 Where many shooters set in a military conflict feel like jingoistic fantasy, Spec Ops: The Line dares to take us to the harrowing realities with this frightening twist. In my first playthrough of Heavy Rain, my favorite character was private investigator Scott Shelby. He was kind-hearted, genial, curious, and seemed to genuinely care about those around him. Can you imagine my surprise when I discovered that Shelby was actually the Origami Killer I was ostensibly trying to find? That when I played as him “gathering evidence”, I was actually erasing any trace of Shelby’s involvement in said evidence? That a video game made me play as, and enjoy the company of, a child murderer?! 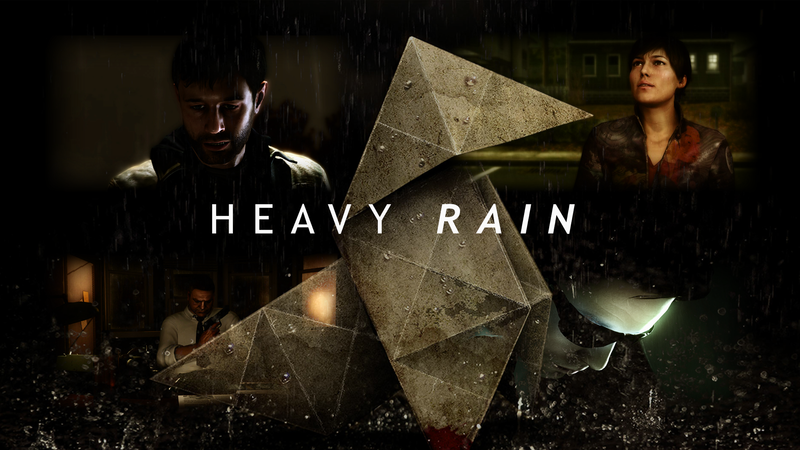 Next time, Quantic Dream, just send a guy over to drop-kick me in the stomach. It’ll be more efficient. In this indie masterpiece, the main character Tim is involved in what seems like a straightforward, seen-this-a-thousand-times narrative: Travel through unknown lands, defeat the monster, rescue the princess. The twist, then, came only from the gameplay, involving the manipulation of time and text passages to solve puzzles. At least, players thought that was the only twist. In the final level, in a harrowing reversal of time, it’s revealed that Tim’s princess was actually trying to escape from Tim, setting these traps that you just worked effortlessly to avoid. That’s right: You, the player, were playing the monster the entire time. In LucasArts’ masterpiece Star Wars: Knights of the Old Republic, you play a Jedi given a lot of freedom, as the game offers choices between following the light side and dark side under the shadow of the nefarious-but-never-seen Darth Revan. However, near the end of the game, this freedom is suddenly yanked away from you, as it is revealed that you are, in fact, the terrible Darth Revan, brainwashed by Jedi to no longer be a threat to the galaxy. Depending on your moral choices, you thus either realign to the light side, or rejoin the dark and become lord of the Sith once again. Silent Hill games are not known for caring about the emotional well-being of the players. In terms of story sucker-punches, though, the second installment takes the cake. The game is structured around several dark mysteries, the chief being a letter from your character James’ wife that comes several years after she died from a terminal illness. After you spend time in Silent Hill trying to find her (and deal with side-characters’ own traumas and pains along the way), you find a videotape with the horrible truth — your wife didn’t die from an illness. You killed her. And the monsters in Silent Hill are a manifestation of this unlivable guilt. Does anyone else need a couple hours of Mario Kart to cool down or is that just me? In our current day and age, the revelation that a playable character is actually a woman shouldn’t come as a shock, but in the mid-’80s. when the first Metroid was released, the culture of video games was very rooted in masculine machismo, and the main character Samus Aran, badass bounty hunter with a big ol’ space gun and cool space armor, seemed to play into that tradition. However, if you achieved a certain ending, Samus removes her armor and makes it clear that yes, the dude you’ve been playing as this entire time is, in fact, a woman. If I had a time machine, I would certainly travel to some unenlightened sexist jerk’s basement to see the dumb look on his face when he discovered this amazing twist.